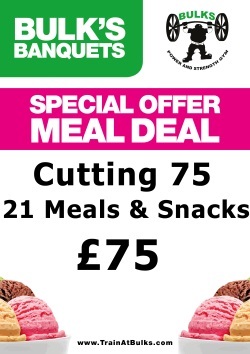 The £75 deal is for the cutting package – 21 meals plus snacks and most have these Mon to Fri whilst at work and are too busy. 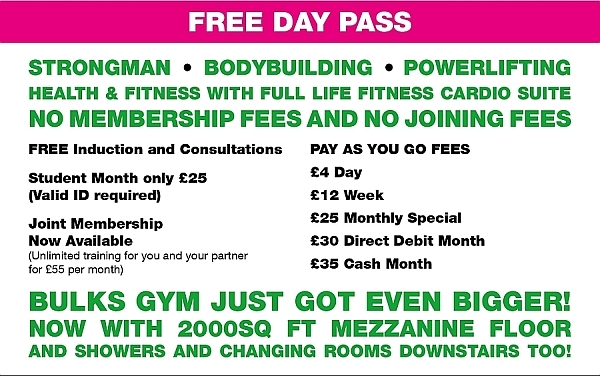 They then look after themselves at the weekend. 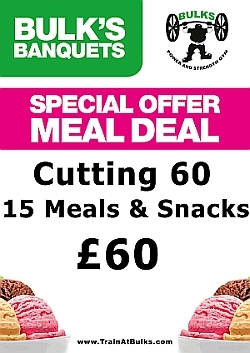 Others have cutting 50 package, which has 15 meals and snacks to last all week, this is priced at £60. 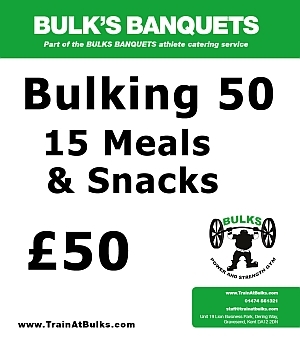 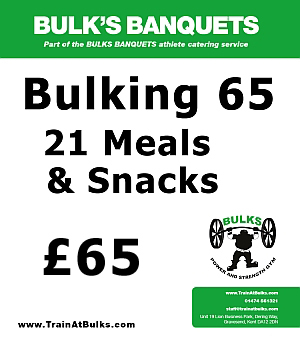 For more information and detail around our meal plans, click here to visit our Bulk’s Banquets page.